I posted several months ago (here) about one of my favorite yarns that I’ve spun, called “Mallard.” It didn’t take very long for me to dive into this skein once the weather started getting colder. I knew I had wanted to make a hat with this yarn, so I was absolutely thrilled when the yardage amount ended up being enough for not only a hat, but also a pair of fingerless mitts and a cowl. Love the color changes. The colors are a bit richer, brighter than in these pics. But spinning definitely toned down the color palette, as did the knitting. I’m the one in the middle, wearing the hat. You can just barely see it. I think the pattern may have been just a little bit too intricate for the yarn, but the cabling detail is still visible, so that makes me happy. For the mitts, I used the coordinating Snapdragon Mitts pattern, and again, I think the detail work gets lost in the colors. But I don’t want to reknit them, and they are very cozy to wear! After finishing the mitts, I had just enough yarn leftover to make a little cowl. Since this is precious handspun, I wanted to make something that would be close to my skin, as well as use up every last yard of yarn (which I did). Luckily I found some coordinating sock yarn in my stash in a nice neutral brown to finish out this simple feather and fan lace stitch cowl (which I finished and wore on Christmas Eve). I just love knitting with my own handspun! 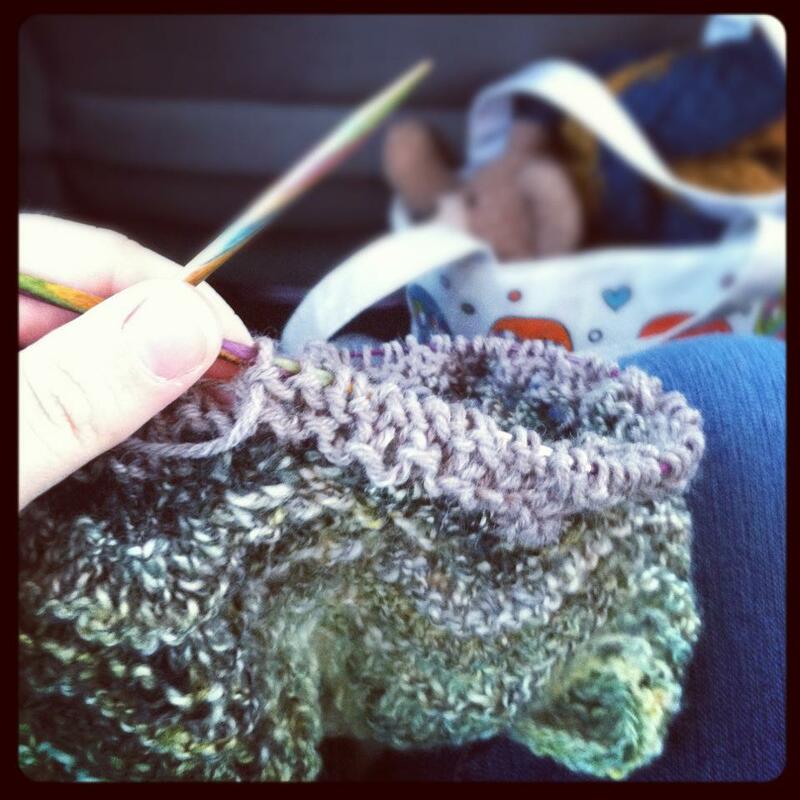 I think one of my goals this year will be to weave something with handspun.